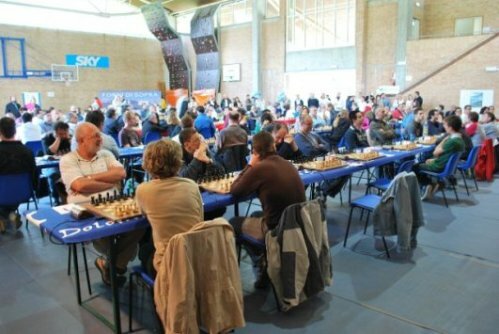 The 1st International Chess Tournament of Forni di Sopra was held from June 12th to 18th in Forni di Sopra, part of the Friulian Dolomites Natural Park and one of the jewels of the Italian Alps. The Ovens Valley is surrounded by the Alps on the north and on the south by the Carnian of the Dolomites Mountains of Friuli, which last year was declared World Heritage location. 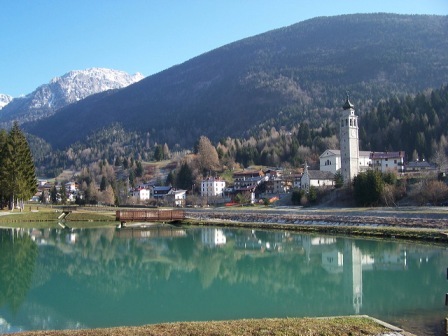 Forni di Sopra is also part of Authentic villages: the houses still retain the typical architecture carnica, evoking the atmosphere of a storybook. 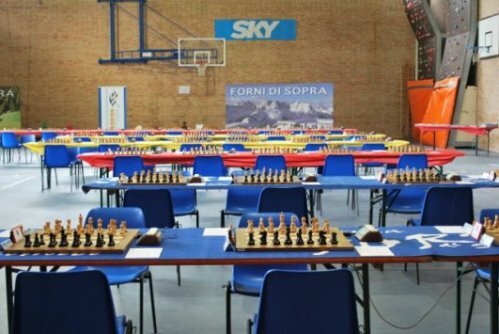 The International Chess Tournament of Forni di Sopra is a result of close collaboration that ties for years the Accademia Internazionale di Scacchi with the Circolo Scacchistico Udinese. ScacchiRandagi helped the tournament with live games broadcast and in many other aspects. The total prize money amounts to 10,000 Euro. 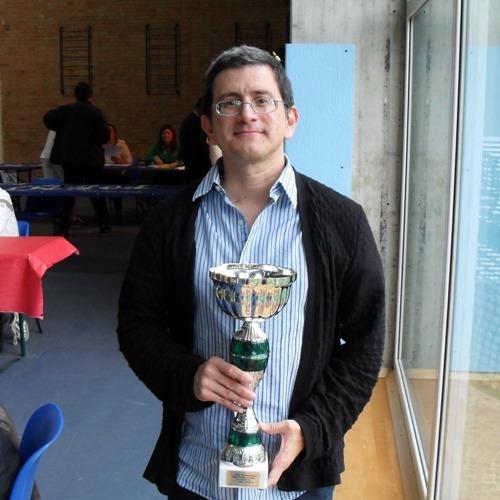 Grandmaster Carlos Matamoros of Ecuador won the main tournament by collecting 7.0 points. 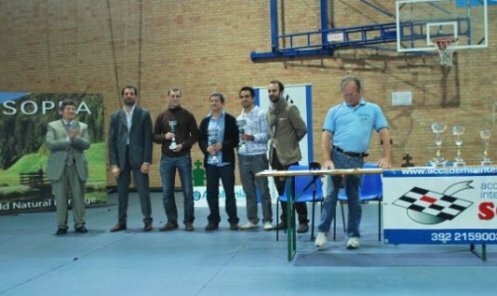 The second placed GM Manuel Leon Hoyos received an equally loud round of applause for the fighting spirit in the last round when he tried to defeat Matamoros and overtake the first position. The game extended well into the sixth hour of play and eventually finished in a draw. Replay and full crosstables here. Thirteen players shared the 3rd place with 6.0 points each. 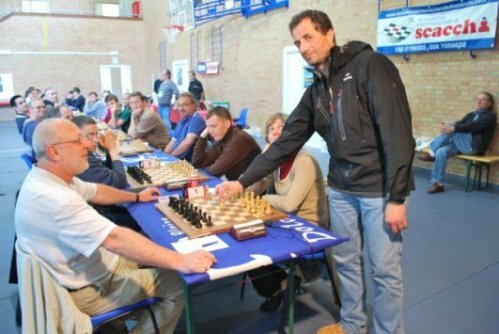 GM Rafal Antoniewski (third on Buchholz) and GM Tamas Banusz (4th) won straight in the first three rounds and then drew the rest of the games. Banusz had an incident during the football game and played the second half of the tournament with a pile of cushions under the injured leg. FM Ivano Ceschia earned an IM norm, while junior Giovanni Sorbera became FSI Master. 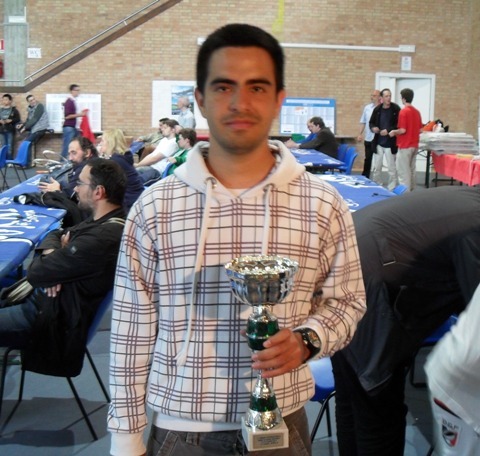 Riccardo Marsili, student of Accademia Internazionale di Scacchi, wins B Open with impressive 7.5 points (8 rounds). Lorenzo Lodici (ITA) and Miroslav Tkac (SVK) win C Open (8 rounds) with 6.0 points each.